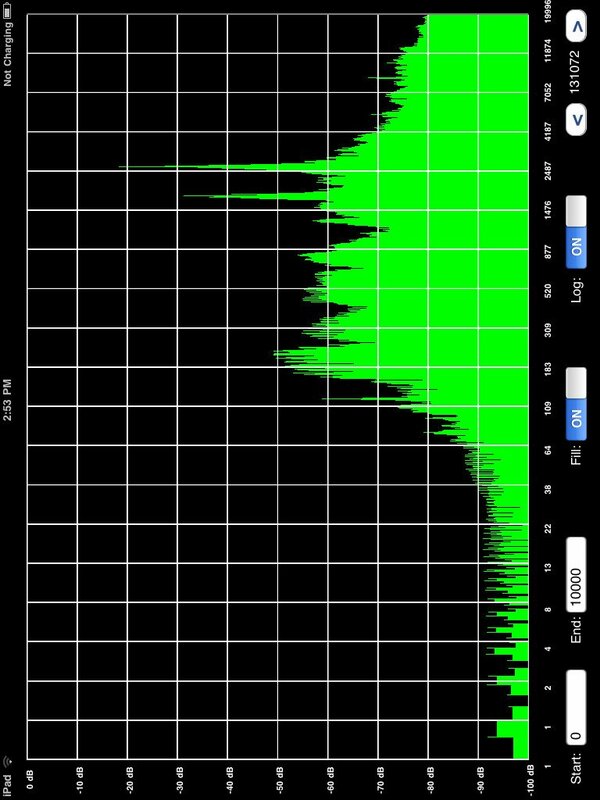 Spectrum Pad turns your iPad, iPhone, or iPod Touch into an audio spectrum analyzer. Frequencies up to 20 kHz can be displayed. You can control the displayed frequency span, as well as the FFT size, from 1024 to 262144 bins. A logarithmic display of the entire 10 Hz to 20 kHz frequency range is available, and the graph fill mode can be turned on and off, as well as the display of up to five frequency markers. Filtering (averaging) can be applied to the spectrum, to smooth out variations. You can turn on the Peak Hold to make it easier to see transient events, as well as adjust the decay rate. Swiping with two fingers lets you adjust the brightness of the spectrum or the graticule grid overlay. Tapping three times with two fingers will save a screenshot to your Photos.